The backstory: La Junta (meaning "junction") was a tiny pit-stop in the 1880s where two rivers met; it was also intertwined with the lore of Billy the Kid and the Lincoln County Wars. La Junta consisted of a trading post, a church, and a handful of ranchers. Today, it is the home of an iris farm, several art galleries, and of course, the greenhouse of La Junta Growers. La Junta Growers is a family owned greenhouse growing pesticide-free produce in a innovate way using a hybrid greenhouse system. 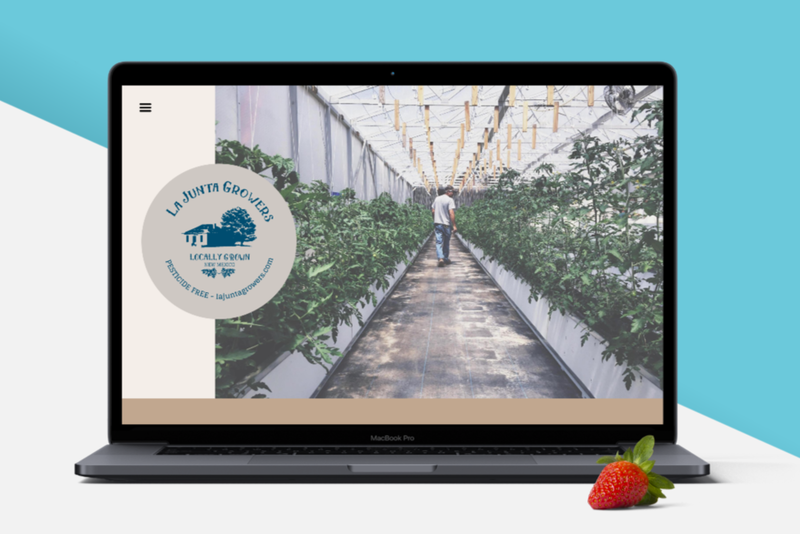 While their modern-equipped greenhouse is by no means "old fashion", La Junta wanted their branding to reflect the local, historic lore and everlasting idea that some things about growing food shouldn't be changed. Once the name was in place, I began to build on what made the greenhouse unique and come up with an icon that represented both the locality and "family" feel of a farm. 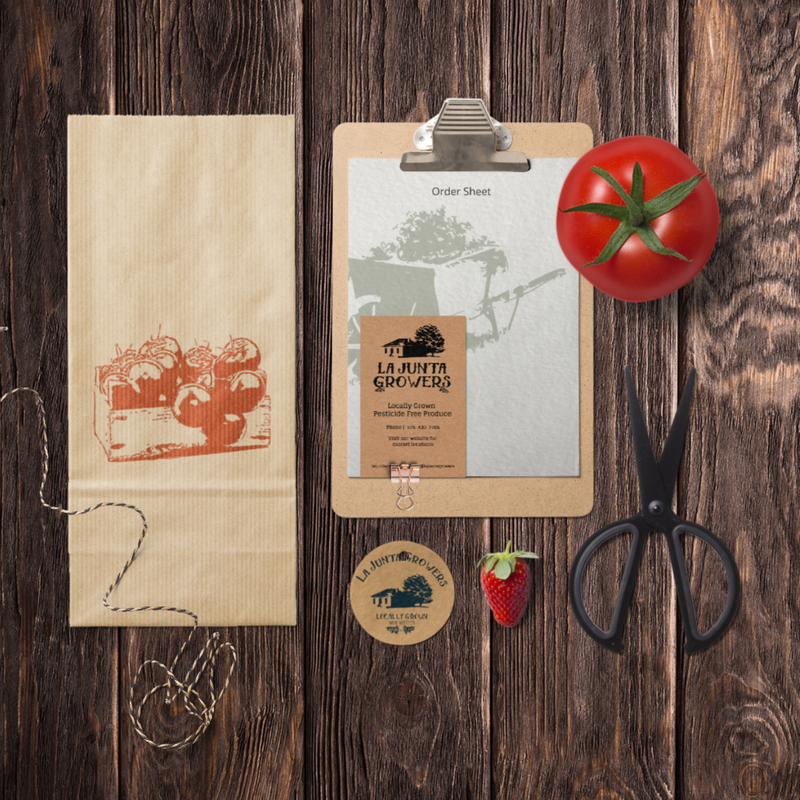 I also designed the labels for their produce packaging; in the future, we will also be developing more marketing materials for the brand. If you didn't catch them at the Las Cruces Farmer's Market in 2017, be sure to visit them at the ABQ Downtown Growers Market in their 2018 season. More projects to come!